Rampage: New Release, and News Again! New Release, and News Again! Hello there, guys! Bet you thought I wasn't gonna show up again until next year, right? Well, you were wrong. Here we are, proud to bring you another episode! This time just one, but more are coming soon enough. In today's episode Magman has his underling Camera Mask steal a new fuel developed by EAGLE, which contains 20 times more steel than a regular fuel. Apparently that makes it much more efficient, but also very dangerous. Will our heroes be able to foil his plan? 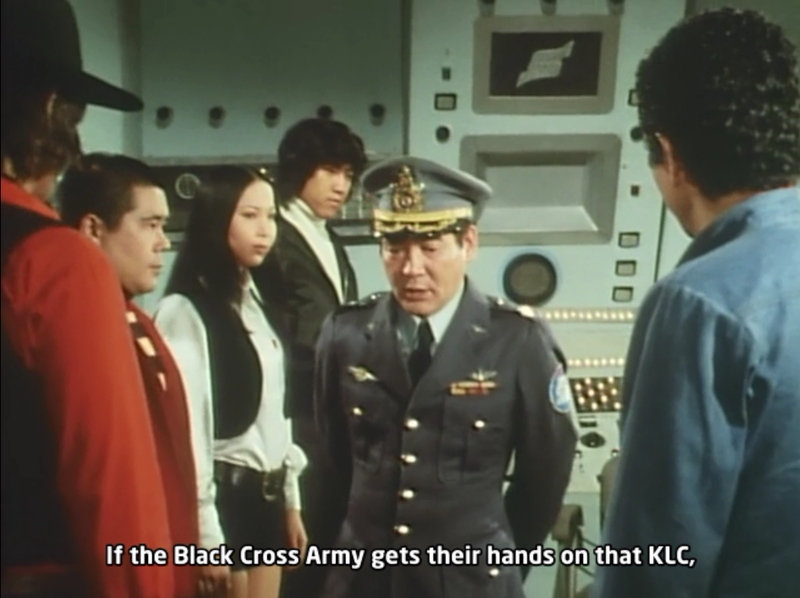 Well, from this episode onwards we will also be receiving the helping hand of our friend, SentaiFan, from Love & Care subs, in hopes of making the finished product even better for all of you, and bring them at a faster pace. The gap should be closed in no time! Taro's riddle this time is "If you stand all day in front of a candy shop, do you know what you receive?". The answer, given by Shinmei, is "Nothing, because it is already dark.". The pun here comes from the two verbs used, which are "呉れる", meaning "to give", and "暮れる", meaning "to get dark". Both sound the same, "kureru". Sadly we have no ETA on those. Clock Up has been away for the last couple of months, and we don't know when he'll be back. I'm trying to work on a solution, keep checking for updates on that. Will do man. I'll keep that in mind. Hardsubs are up! Took a while, but there you go. Rampage Subs, Clock Up or whatever you call yourself. I would like to take over Denjiman, would you mind that? Goranger is moving slowly, and I really want the show out. So yeah, that is all, please reply. Alright, first of all that was a bit rude. And "a bit" is an understatement. Anyway, if you'd like to do Denjiman just go ahead, we don't own the show, even if we've expressed interest in doing it. Feel free to sub whatever you want, we're looking forward to seeing your completed work.